It is indeed an honor to receive the enthusiastic endorsement from delegates of the General Assembly at the 38th World Congress of IUPS in Rio de Janeiro to become the President of IUPS for 2017-2021. I feel particularly privileged to be able to work with a stellate group of physiologists on the Executive Committee and Council to provide service to the global physiological community that befits our motto, “Physiology without borders”. My first order of business as the IUPS President is to extend our warmest congratulations to the Local Organizing Committee, under the leadership of Vagner Antunes and Benedito Machado, on the success of the 38th World Congress of IUPS in Rio de Janeiro. We are delighted to note that this Congress has provided a multitude of platforms for the global physiologists to present, learn and discuss cutting-edge science and education in physiology. The high-quality scientific programs of the Congress were exemplified by the thought-provoking opening and closing Plenary Lectures delivered by two Noble Laureates, Ada Yonath and Roger Kornberg; the cutting-edge Keynote Lectures and the state-of-the-art symposium presentations. We were very much intrigued by the scientific exchanges and interactions generated during the poster presentations. In particular, we were very pleased to witness the enthusiasm from our young generation and those physiologists from the developing countries when they presented their work at the Congress. All these would not have been achieved without the dedication of the Local Organizing Committee, the support from the Brazilian Society of Physiology, and the contribution of the many staff who worked unfailingly behind the scene. We are also indebted to the American Physiological Society, the Physiological Society and the Scandinavian Physiological Society for their partnership with the organization of the Congress. Last but not least, we are deeply indebted to the participants from around the globe without them this Congress would not have materialized. My second order of business is to express our gratitude to the Board of General Assembly, in particular Jayasree Sengupta (Chair) and Susan Barman (Vice-Chair), for the timely publication of the BGA Report of Physiology- Current Status and Future Challenges. I also acknowledge the contributions of the 26 member societies whose responses to the questionnaires formed the basis of the narratives. This Report, which was received enthusiastically at the 38th IUPS Congress, is now posted on the IUPS website. I invite the global physiological community to provide feedbacks on any aspect of this Report, especially on means to implement the Recommendations to IUPS. On behalf of the Union, I extend a warm welcome to the Physiology Society of Sri Lanka as the newest Adhering Body of IUPS. It is vitally important for the growth of IUPS as a global body to have new members from all corners of the world. For some time now, under the leadership of our former President, Denis Noble, IUPS has been pursuing the mission to "return physiology to center stage". With your support, I pledge to continue to move this mission forward because I am a true believer that despite the mountains of molecular data, the ultimate existence of humankind roots in its functional expression that we call physiology. I look forward to working with you in the next four years and welcome your inputs towards this goal. The International Union of Physiological Sciences (IUPS) has the responsibility to advocate and champion key issues which are of global impact and contribution. Animal ethics is one of those issues worthy of furtherance. The Ethics Committee of IUPS plays an active role in creating an awareness of ethical use of animals in training and research in physiological sciences'. The Ethics Committee is seeking committee members to serve through the IUPS-2021 Congress. Terms of Reference are available upon request. Please contact Ashima Anand (ashima_anand@hotmail.com) for more details or to apply. Initial report on the ICMR Workshop Series on Physiology Education Techniques 2018: IUPS Initiative. Below is the report of the Brainstorming Follow-up Meeting of ICMR Workshop Series on Physiology Education Techniques 2018: IUPS Initiative that was held in AIIMS on January 20, 2019. We have received several reports of "whaling" emails baring the signature of IUPS President Julie Chan. The emails request some amount of money to assist with the logistics of the 2019 FAOPS Congress in March. These emails are 100% FALSE. Whaling is a type of scam aimed at persuading an employee to transfer money or send sensitive information to a hacker acting as a trusted source via email. Whaling is extremely easy to fall for and can result in significant financial losses. These e-mails can be difficult to catch because they appear to be harmless, and have a normal, friendly tone and no links or attachments. They will appear to come from a high-level official at the company, typically the CEO or CFO, and often ask you to disclose sensitive information or initiate a wire transfer. If you have any questions about the legitimacy of any emails having to do with IUPS business, please contact IUPS Manager Steven Webster ASAP. 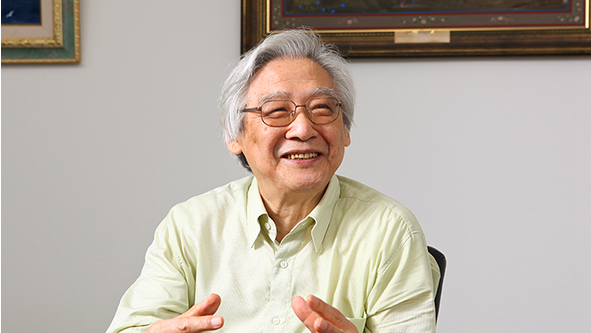 It is with deep regret that we have to report that Professor Masao Ito, IUPS President (1994-1997) and former Professor and Dean at The University of Tokyo, and Director General of the Frontier Research Program, Institute of Physical and Chemical Research (RIKEN), passed away on December 18, 2018. In addition to his seminal contributions to the concept of the cerebellum as a learning machine, Professor Ito championed global collaboration amongst physiologists as a core value for IUPS. He will be remembered as a scholar and a much loved colleague in physiology. Our sincere condolences to his family during this difficult time. For the last 10 years, SAAP has maintained a history of organizing regular biennial conferences along with Pre-conference workshops. Therefore, a comprehensive physiology teaching workshop with the theme of “Enhancing Physiology Teaching and Learning for better Healthcare Professionals” to be held on 12th Dec 2018 at University of Lahore has been designed under the umbrella of SAAP and in collaboration with IUPS to benefit all physiology educationists and researchers and to enhance the quality of physiology pedagogy in South Asia. This workshop will bring together the views and work of notable experts of different background both from South Asia and beyond. It will be an excellent opportunity for the exchange of information and ideas in the field of physiology and allied Sciences. This rich scientific program will also promote corporation in all matters of physiology education and research and consequently a good number of physiology educationists and researchers will benefit." Congratulations to IUPS Education Committee Chair Rob Carroll for receiving the Alpha Omega Alpha Distinguished Teaching Award! The Scientific Communication Cathedra, The Observatory of Science, Technology and Innovation, The Central Laboratory of Cerebrospinal Fluid Analysis (LABCEL), The Faculty of Medical Sciences “Miguel Enríquez” of the Havana Medical Sciences University, with the Cuban Society of Physiological Sciences and the Cuban Society of Immunology, invite you to the eighth edition of the “Heinrich Quincke Research Scholarship”. Denis Noble's latest article in pursuing the IUPS's mission of returning physiology to the center stage. We are pleased to announce that the “Physiology Education Workshop 2018: IUPS Initiative” will be held in the form of a series of workshops in three Institutions in three parts of India: AIIMS Jodhpur (3-5 November 2018), NEIGRIHMS Shillong (10-12 November 2018) and GMC Kozhikode (15-17 November 2018). It has been conceived with a vision to promote exchange of knowledge about alternative practices in physiology teaching and learning. The workshop will provide interactive ‘hands-on’ training on innovative tools like Problem Based Learning (PBL), Case Based Learning (CBL) and Flipped Classroom (FCR) for physiology education to selected participant faculty members from all over India. Scientific sessions by renowned international and national faculty will be an added feature. The primary aim of the workshop is to create awareness about those innovative tools in physiology education. The long-term goal is the creation and expansion of a national network of physiologists dedicated to the advancement of physiological sciences. WATCH NOW Former IUPS President Denis Noble delivers his talk "Precision Medicine: The case for a new way forward" at the Summit on Controversies on Precision Medicine in Berlin, Germany. A panel discussion to reflect on the report will be held at 2pm at the Riocentro Convention Center, Room 207 - PAX 200, immediately before the 2017 IUPS Congress in Rio de Janeiro, Brazil. The panel discussion will be chaired by IUPS President Denis Noble, with represntatives from almost every continent. The General Assembly (GA) of the IUPS has ratified the proposed amendments to the IUPS Constitution and By-Laws, with 50 votes in favor versus 0 against as of the close of voting on December 6, 2016. A total of 76 GA members were eligible to cast ballots, 50% of which constitutes a quorum (i.e., 38 votes), with two-thirds required for ratification. In fact, nearly two-thirds of all eligible voters cast a positive vote. In anticipation of the passage of the new Constitution, the IUPS Nominations Committee has already begun considering nominees to fill the new Council positions. It will release the names of the nominees as soon as the entire slate of nominees has agreed to serve.